During the firing of a weapon, the individual stria are transferred from the hard surface of the weapon on to the softer surface of the bullet or cartridge case during the firing. As the tremendous pressures build up during the first few moments of firing, the base of the bullet swells to fill and so obturate the weapon' s bore. As it passes down the barrel, the minute irregularities in the bore form longitudinal scores or striations down the length of the bullet. 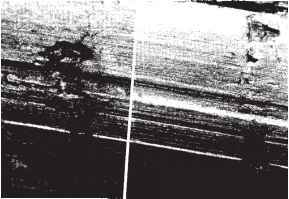 Some of these are obviously rubbed off or modified by subsequent barrel imperfections and others remain during the bullet's flight through the weapon's bore (Figures 4.25-4.28). Likewise, the tremendous pressures on the base of the bullet are also exerted in an equal and opposite direction on the cartridge case. The case is thus slammed into the standing breech face replicating, in reverse, the toolmarks thereon. As the cartridge is extracted from the chamber, the extractor claw imparts its own class and individual toolmarks on to the rim of the cartridge. The ejector striking the base of the cartridge to tip it away from the gun will also leave its own class and individual characteristics. 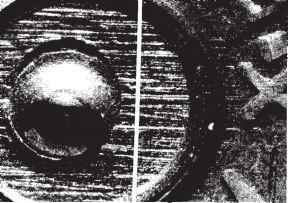 Other marks such as the lips from the magazine, the ramp, which directs the round of ammunition into the chamber (feed ramp), and the indicator pin, which shows whether the chamber is loaded, will also leave individual characteristics. Figure 4.25 Striation match on a bullet. Figure 4.26 Striation match on a cartridge case. Figure 4.27 Striation match in firing pin impression. A good example of class and individual characteristics can be found on many of the 7.62 x 25 mm calibre type 54 Chinese military pistols. 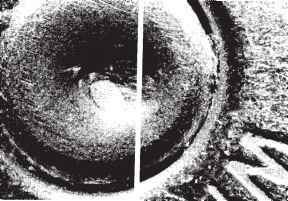 In these, the end milling striations from the standing breech are clearly visible on the fired cartridge case. These are often mistaken for individual characteristics, and it is very easy to make an incorrect identification on this basis. 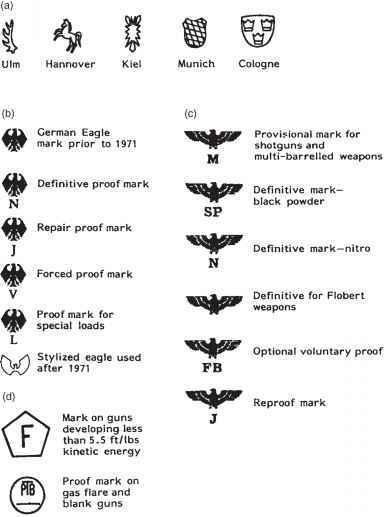 As the class characteristics run in an arc across the standing breech (the gross milling marks) and the individual characteristics (the fine finishing marks) run from top to bottom, if the cartridge is turned through 90 the individual characteristics reveal themselves (Figure 4.28).